The protection of people from an unsafe drop, through the use of barriers and edge safety, is built upon regulations, legislation and standards. If you're struggling to know which loading's apply to your project or how high your balustrades need to be, the below regulations and standards are a great place to start. 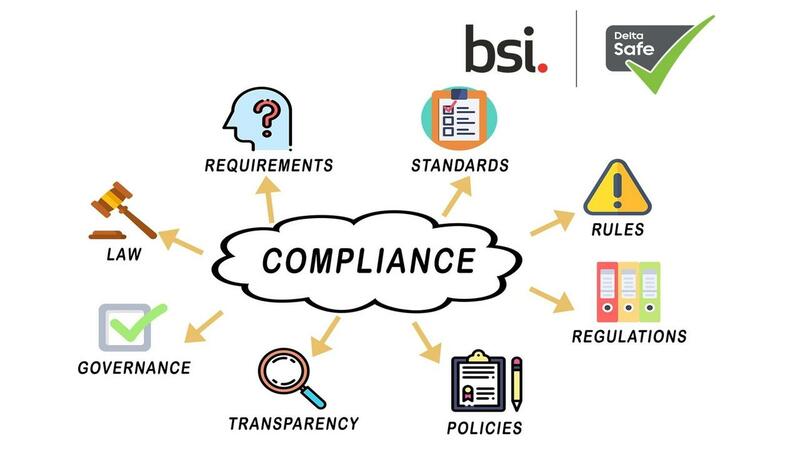 A British Standard is the specification of a recommended procedure, quality of output, terminology, and other details, in a field, drawn up and published by the British Standards Institution (BSI). Building Regulations are minimum standards for the design and construction of buildings to ensure the health and safety of people in or about the structure. If you want to know more about barrier legislation in relation to balustrades and handrails, join us at one of our events or contact Delta Balustrades. Find our next event here. Get the latest news straight to your inbox with our Quarterly Newsletter!